Mufti Muhammad Taqi Uthmani is one of the leading Islamic scholars living today. He is an expert in the fields of Islamic Jurisprudence, Economics, Hadith and Tasawwuf. Born in Deoband in 1362H (1943 CE), he graduated par excellence form Dars e Nizami at Darul Uloom, Karachi, Pakistan. Then he specialised in Islamic Jurisprudence under the guidance of his eminent father, Mufti Muhammad Shafi, the late Grand Mufti of Pakistan. Since then, he has been teaching Hadith and Fiqh at the Darul Uloom, Karachi. He has authority to teach Hadith from his father Mufti Muhammad Shafi, Maulana Idrees Khandhelawi, Qari Mohammed Tayyeb, Maulana Saleemullah Khan, Mufti Rasheed, Maulana Sahbaan Mahmood, Allama Zafar Ahmed Uthmani, Shaykh Ul Hadith Maulana Zakariyya Kandhlawi, Shaykh Hassan Meshat and others. In tradition to the scholars of Deoband, recognising the importance of Tasawwuf, he traversed the path under the guidance of Shaykh Dr. Abdul Hayy Arifi and Maulana Maseehullah Khan both khulafa of Hakeem Ul Ummah Maulana Ashraf Ali Thanvi. And is authorised by both of his mentors in Silsila e Ashrafia: Chistiyyah, Naqshbandiyah, Qadiriyah and Suharwardiyah. In addition, to his busy schedule, he is himself a mentor to numerous spiritual aspirants all over the world. He also holds a degree in law and was a judge at the Shariah Appellate Bench of the Supreme Court of Pakistan till recently. He is a consultant to several international Islamic financial institutions and has played a key part in the move toward interest free banking and the establishment of Islamic financial institutions. He is considered to be an authority on this subject. He is the deputy chairman of the Jeddah based Islamic Fiqh Council of the Organization of Islamic Conference (OIC). Presently, he is the Vice president of Darul Uloom, Karachi, Pakistan, where he teaches Sahih Bukhari, Fiqh and Islamic economics. Mufti Abdur Raheem Ibn Dawood Limbada is one of the gems of England. A master of Quranic exegesis and the Arabic language, he initially studied at Darul Uloom Bury (UK), where he is currently the senior lecturer of Imam Bukhari’s & Imam Muslim’s collection of Ahadith. After graduating he pursued studies at Mazahirul Uloom, Saharanpur (India) under the tutorship of the great illuminary Muhaddith Yunus Jaunpuri. He specialises in Tafseer, particularly in the work of Imaam Baydawi. In tasawwuf, he has authorization in the Chisti order. His students include Shaykh Riyad Ul Haq, Mufti Muhammad Ibn Adam Al Kawthari, Shaykh Ahmad Ali, Mufti Dr. Abdur Rahman Ibn Yusuf Mangera, and Mufti Hussain Kamani. Mufti Abdur Rahman Ibn Yusuf Mangera, born and raised in London, studied in England, India, South Africa, and Syria. After memorising the Holy Qur’an by the age of fifteen, he continued his education, earning a BA in Islamic Studies from the University of Johannesburg, and graduated from Darul Uloom in Bury, England, with a degree and formal authorization in the Islamic Sciences, and specialized in legal judgement (Iftah) at Mazahir Uloom Saharanpur, India. His teachers at Darul Uloom Bury included Shaykh Yusuf Motala and other students of Shaykh Ul Hadith Maulana Muhammad Zakariyya Kandhlawi. This was followed by a Masters in Islamic Studied from SOAS (University of London). To date, he has written the well-received Fiqh al-Imam, a guide to the Ḥanafi position on disputed matters of prayer, and is the translator of Hasan Basri’s Prayers for Forgiveness, Abu Hanifa’s Al-Fiqh al-Akbar, Provisions for the Seekers, Salat & Salam: In Praise of Allah’s Most Beloved, co-authored Reflections of Pearls, and has recently edited Ghazali’s Beginning of Guidance (Bidayat al-Hidaya). He presently serves as imam of a London masjid and continues to work on scholarly publications through White Thread Press while pursuing his research for the PHD. 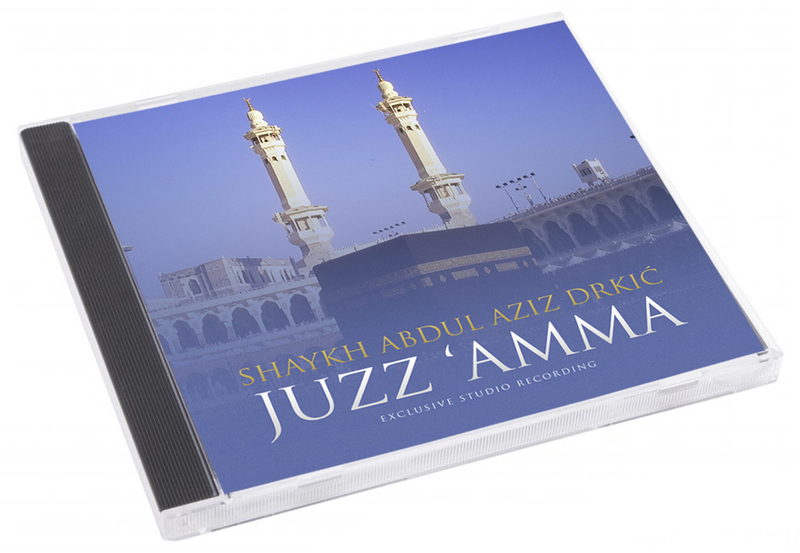 Many of his lectures are available online through ZamZam Academy. Mufti Ebrahim Desai completed his Qur’an Memorisation (Hifz) at Watervaal Islamic Institute (Mia’s Farm), South Africa. Thereafter he pursued his Alim Course in Jamia Islamia, Dhabel for 7 years, and passed with distinction in every year. Mufti Ebrahim Desai completed his Mufti Course (Ifta) at Jamia Islamia, Dhabel, India under Hadhrat Mufti Ahmad Khanpuri Saheb of Dabhel for two years. After completing of this course, he completed another year of studies in Iftaa under the late Mufti of India, Hadhrat Mufti Mahmud al-Hasan Gangohi, the author of the multivolume Fatawa Mahmudiyya. Mufti Saheb taught Fiqh, Principles of Fiqh, Tafseer, Hadith at Madrassah Ta’limuddin, Isipingo Beach, South Africa for 10 years. He also headed the Fatwa Department at Jamiatul Ulema, KZN. He was a senior Shaykh Ul Hadith at Madrassah In’aamiyyah, Camperdown for another 10 years. In 2011, Mufti Ebrahim Desai Saheb moved to Durban permanently and laid the foundation for Darul Iftaa Mahmudiyyah, Sherwood, Durban. Currently, Mufti Saheb runs The Darul Iftaa Mahmudiyyah where he teaches students to become Muftis. The Darul Iftaa caters for many facilities under the supervision of Mufti Saheb. Mufti Saheb also teaches Sahih Bukhari, Mishkat al Masabih and Al Hidayah at Madrassah Nu’maniyyah, Chatsworth, Durban. Mufti Ebrahim Desai has authored two books, ‘Introduction to Hadith: A general introduction to Hadith and its sciences’ and ‘Introductions to Islamic Commerce’. His fatawa have been compiled in a book titled ‘Al-Mahmood’. Another compilation of his talks at the Shariah Compliant Business Campaign is also available titled ‘Shariah Compliant Business Campaign’. The latest compilation of contemporary verdicts is also available titled ‘Contemporary Fatawa’. Mufti Saheb has been issuing Fatwas in various fields for more than 17 years. Shariah Compliant Business Campaign which also initiated by Mufti Saheb in 2002 providing a conference to tackle contemporary business matters in Islamic Commerce and Finance. Mufti Saheb also designed the Wesbank Islamic Finance Ijarah Programme as an alternative to Interest deals. He continues to be the Shariah Advisor to Wesbank and other various private commercial institutions. Mufti Saheb has visited Unites States, Canada, UK, China and other countries for almost 15 Years and delivered talks and lectures on various topics in Masajids, Universities and various institutes. He also serves as a religious advisor to the Islamic Food and Nutrition Council of America (IFANCA). Mufti Faraz Ibn Adam al-Mahmudi, the student of the world renowned Mufti Ebrahim Desai. Mufti Faraz is a graduate of The Darul Iftah Mahmudiyyah institute in South Africa, which was founded by Mufti Ebrahim Desai in 2011. He successfully completed his Iftah course under the tutelage of Mufti Ebrahim Desai and in addition, completed a one year Islamic Finance course at the Darul Iftaa Mahmudiyyah and was honoured with a Masters of Arts in Islamic Finance. He is currently pursuing a further course in Islamic Finance aiming to qualify as an Expert Islamic Finance Shariah Advisor. Mufti Faraz al-Mahmudi completed his traditional 6 year alimiyyah course at Darul Uloom Leicester, UK. Mufti Hussain Kamani was born to a Hindu revert-to-Islam and Muslim father in Elizabethtown, Kentucky. With the blessings and dua of his parents, Mufti Hussain Kamani underwent a journey of a lifetime in pursuit of sacred Islamic knowledge. He began his pursuit of the Islamic sciences at the young age of six to memorize the entire Qur’an at the acclaimed Darul Uloom Madania in Buffalo, New York. By the blessings of Allah, he was able to complete this momentous task in 1999. Having the growing thirst to quench more knowledge, Mufti Hussain Kamani then travelled across the world to the United Kingdom to attain more advanced formal Islamic authorisations in the field of Islamic theology. He studied at Darul Uloom Bury, the renowned seminary of the great revivalist and scholar of Hadith, Shaykh Ul Hadith Zakariyya Kandhlawi. Mufti Kamani completed the traditional six-year curriculum covering the Arabic language, Arabic morphology, Islamic jurisprudence, Tafseer(exegis) of the Holy Qur’an, Hadith, Philosophy, and Aqeedah under the guidance of some of the pioneer scholars in England, including Shaykh Yusuf Motala, Shaykh Hashim, Shaykh Bilal and Shaykh Abdur Raheem bin Dawood amongst others. Upon graduation Mufti Hussain Kamani was then was specially selected to enter a post-graduate level course in Islamic Law and Legal Verdicts (Fatwa). He completed this course in two years and received formal authorisation in it as well. Following his graduation with top honours, Mufti Hussain Kamani went on to earn his post-graduate degree in Business Management & Strategy at the University of Coventry (RDI). Currently, Mufti Hussain Kamani is the Imam of the Islamic Center of Chicago. With the help of Allah, he is constantly working on projects and programs to cater towards the needs of the Muslim youth and the greater-Chicago community. This includes conducting numerous weekly lecture series, holding after-school Qur’an classes, counselling youth, couples, and adults in general, teaching new Muslims, giving dawah to non-Muslims, and being a senior advocate of Halal awareness and integrity. Mufti Ismail Ibn Musa Menk was born in Harare, Zimbabwe. He was tutored by his father, Maulana Musa Menk, who graduated in Mazahirul Uloom Shahjahanpur under Hadhrat Shaykh Maulana Zakariyya Kandhlawi in the late 1950’s. He commenced his hifz at the tender age of nine years and completed at the age of twelve. Also, at an early age, he learnt the Arabic and Urdu languages whilst studying Shariah on the Hanafi Madhab under his father. At the same time he attended an Academic College in Harare where he completed his secondary secular education. Having studied the Hanafi Madhab, he then went on to study at the Islamic University of Madinah where he completed a degree in Shariah on the four Madhabs. Thereafter he joined the Iftah (Mufti) department of Darul Uloom Kantaria in Gujarat, India where he graduated under Mufti Ismail Barkodrah at the end of 1999. Ever since he has been actively engaged in teaching, lecturing country wide, running of Islamic educational institutes for the under privileged as well as the orphans, construction of Masajid and Madaris, relief work and coordinated dawah country wide. Currently he is the Imam of the largest Masjid in Harare. Mufti Muhammad Ibn Adam Al Kawthari is a traditionally-trained Islamic scholar who has studied the Arabic language and various other traditional Islamic sciences including Qur’anic exegesis, Hadith and Fiqh in different parts of the world including the UK, Pakistan and Syria. His Shuyukh/teachers include his father, Shaykh Maulana Adam, Shaykh Yusuf Motala, Shaykh Mufti Muhammad Taqi Uthmani, Shaykh Abdur Razzaq Al-Halabi and others. He has received authorizations (Ijazahs) in various Islamic disciplines including the six major collections of Hadith and the science of issuing religious verdicts (Fatwa). His authored works include: Islamic Guide to Sexual Relations, Birth Control & Abortion in Islam, The Issue of Shares and Simplified Rules of Zakat, and is widely known for providing answers to people’s everyday issues and comprehensive Fiqh related articles. The Shaykh has taught many courses and lectured extensively on a range of topics, and continues to travel regularly teaching and lecturing both in the UK and abroad. Presently, he resides in Leicester, UK, where he is a teacher of various traditional Islamic sciences, and Director and researcher at the Institute of Islamic Jurisprudence. Mufti Umair Zulfiqar Graduated in Double MA in Islamic Studies from Darul Uloom Karachi and Arabic, followed up by 2 years in specialise in placing Islamic verdicts on contemporary issues. One scholar who has also studied under Mufti Taqi Uthmani , Shaykh Abdul Haleem Nomani, Mufti Rafi Uthmani and many others. Currently headteacher of Ayasofia Primary School. Shaykh Abdul Aziz Khelpi studied in South Africa, Azadville and thereafter a short time in Egypt. Currently Shaykh remains active in giving lectures worldwide. Shaykh Abdul Jalil had graduated from Darul Uloom Dewsbury. Currently, Shaykh remains active within his local community. Shaykh Abdul Majid Iltaf was born and raised in the small West Sussex town, Crawley to a mixed English-Pakistani family and studied in the local schools until he completed his college qualification in Business and Finance. After working in the local community involved in different jobs, his heart felt a great inclination to acquiring the Sacred Sciences which caused him to migrate to South Africa to study. After completing the basic Islamic texts he then went on to Pakistan where he spent three years studying in the Dars Nizami system before returning to England and completing his education at the Darul Uloom in Chislehurst London. Professionally, Shaykh Abdul Majid completed his M.A. in Islamic Banking and Finance and was serving as the Imam of Langley Green Masjid in Crawley for four years until August 2011. He now works as a chaplain in a local detention centre and runs his own evening after-school Madrassah for children aged 6-15. He also conducts a weekly Islamic class in his hometown of Crawley and regularly travels throughout the UK where hs is invited to speak at events. Maulana Abdul Wahhab started his studies at a early age at Leicester, under the supervision of Shaykh Muhammad Saleem Dhorat. After a few years, Maulana went off to South Africa, Azadville, where he had graduated. Currently, Maulana serves an imam at Plashet Grove Masjid. Shaykh Abdus Salam Azadi combined three key qualifications in four different countries- General and Religious Studies in Bangladesh, Modern and Classical Arabic language and literature with Islamic Studies in Madinah, Saudi Arabia, Modern Applied Linguistics (Teaching Arabic as a second language ) in Malaysia and the United Kingdom, and finally, Islamic development of Islamic political thought in the 20th century. Currently he is well known for appearing of television shows as well as being one of the main teachers at Darul Ummah Madrassah. Shaykh Abdus Samad studied under Mufti Umar Farooq and graduated from Darul Uloom London. Shaykh has obtained an additional MA from Birbeck University and has also spent a year in Syria, learning the traditional sciences. Shaykh Abu Yusuf Riyadh Ul Haq was born in Gujarat, India in 1971. He came to the UK at the age of three, to join his late father Maulana Muhammad Gora Saheb who was serving as an Imam and religious leader for the Muslim community in Leicester, UK. His father, himself renowned for his piety and learning, began his son’s religious instruction at a very young age. By the age of ten the Shaykh had memorised the entire Qur’an, and also completed the study of a number of books in various Islamic topics. When he was thirteen he enrolled at Darul Uloom Al Arabiyyah Al Islamiyyah, Bury, UK, (the first and most prestigious Muslim seminary in the West) and graduated six years later, in early 1991. In Darul Uloom the Shaykh undertook an intensive study of many Islamic topics including Arabic, Qur’anic Tafseer, Hadith and Fiqh under traditionally qualified scholars. His eminent and erudite teachers from whom he has Ijazah in various Islamic sciences include Shaykh Yusuf Motala and the late Shaykh Islamul Haq. He also has Ijazah in Hadith from the late Mufti Mahmood Hasan Gangohi and the famous Muhaddith, Shaykh Yunus of Saharanpur, India. Until 2003 the Shaykh served as the honorary principal of Madinatul Uloom al Islamiyyah, Kidderminster, UK (a branch of Darul Uloom, Bury, UK) where he had also been head teacher since 1992. Since graduation he has selflessly devoted himself to the work of deen and remained actively involved in dawah and teaching. He has taught and commented on many classical Islamic works and has lectured extensively on a range of topics including Qur’anic Tafseer, Hadith, Aqeedah and Fiqh. He has also travelled widely teaching and lecturing in various countries in the Middle East, Africa, Europe and North America. Many of his inspirational sermons and lectures are recorded and are widely available. He has also authored two books, ‘The Salah of a Believer in the Qur’an and Sunnah’ and ‘The Causes of Disunity’. Shaykh’s extensive knowledge, command of both Arabic and English, together with his natural ability and eloquence in conveying the words of Allah and His Rasul (saw) moved the hearts of many and continue to do so. Shaykh Ahmad Ali was born in Azad Kashmir in 1971. The Shaykh came to the U.K. at the tender age of 6. Coming from a moderately practicing family, the odds were always stacked against him, but even as a young boy Shaykh displayed a yearning for deen. His stubborn determination resulted in him completing the memorisation of the Holy Qur’an at the age of 14 under the supervision and guidance of his teachers at the local masjid, Masjid Quba. Having completed this great feat, the thirst for furthering his Islamic knowledge could no longer be quenched in the confines of the local masjid. Searching for more in 1986 Shaykh enrolled at Darul Uloom Al Arabiyyah Al Islamiyyah, Bury, the main nucleus of Islamic study in Europe at the time. During his time in Darul Uloom, Shaykh excelled in his studies undertaking an intensive study of many Islamic sciences including Arabic, Qur’anic Tafseer, Hadith, Fiqh and Aqeedah under the supervision of Hadhrat Yusuf Motala Saheb. After graduating from Darul Uloom Al Arabiyyah Al Islamiyyah in 1993 realising that the there was much more to be gained from the beauty of the Qur’an and Hadith, his insatiable hunger for knowledge still not satisfied, Shaykh left the confined borders of the United Kingdom and headed towards the Middle East, Madina. Here he studied at Al Jamiiyah al Islamiyah. Following this in 1994 Shaykh moved on to the world famous Azhar University in Egypt, specialising in Hadith. Having journeyed through many lands in order to substantiate this zeal for knowledge, Shaykh returned to the U.K. in 1996. Shaykh Akhtar Ali started his education at an early age. The Shaykh completed and graduated from Darul Uloom Bolton. Shaykh Ali Ahmad was born in 1977 in Bangladesh. He had travelled to the UK in 1983, age 6, with his family, where he started his national curriculum studies. At the age of 16, Shaykh enrolled at the Upton Lane Islamic Institute, where he commenced his studies in general Islamic teachings. Here he studied under many Ulema; Maulana Saleem Nawab, Maulana Abdul Mateen, Mufti Shah Sadruddin and many others. In 1994, Shaykh Ali pursued in his thirst for knowledge, by moving to Nottingham, where he enrolled at Jamia Islamia Nottingham, where he studied Nahw, Sarf, Arabic, Urdu, Balaagh, Fiqh, Usoolul Fiqh, Hadith, Usoolul Hadith, Tafseer etc. under the likes of Shaykh Zuber Kola, Shaykh Luqman, Shaykh Kamal, Shaykh Fadhlur Raheem, Shaykh Abdul Haqq, Maulana Qasim as well as many other well known Ulema. Shaykh Ali furthered his studies by enrolling himself at Darul Uloom Karachi, Pakistan, in 1999, where he had the privilege to study under Mufti Taqi Uthmani, Mufti Rafi Uthmani, Maulana Sahbaan Mahmood, Mufti Mahmood Ashraf, Maulana Shamsul Haqq, Maulana Azizur Rahman, Maulana Iftikhar, whom under all he recievied Ijazah from. In Shaykh’s continuous thirst for knowledge, Shaykh Ali travelled to Syria in 2001, where he studied Language, Fiqh, Hadith, Tafseer, Balaagh Fiqh, Usoolul Fiqh, Usoolul Hadith and much more in the University of Damascus, Jami Abu Noor, Jami Al-Fath and other such institutions under Ulema, such as Shaykh Samir Al-Nass, Shaykh Adnan Saqa, Shaykh Abdur Razzaq Al-Halabi, Shaykh Nur al-Din Itr and others. In 2002, Shaykh travelled back to London, UK, where he currently resides, teaches and runs and assists many Islamic organisations. Shaykh Faadhil Choudhury is a graduate from Darul Uloom Azadville, South Africa where he spent more than 6 years studying the various Islamic sciences under auspicious teachers. He currently teaches at London Islamic School and works with young people in his community. Currently teaching Seerah and other topics and working on various projects. Shaykh Fadhlul Islam Khan started his education at a early in South Africa, Azadville. Shaykh is currently the director of Umdah Foundation. Shaykh Faisal Meman started his studies at a early age at Leicester, under the supervision of Shaykh Muhammad Saleem Dhorat. The Shaykh completed his studies at Leicester and currently teaches at London Islamic School. Shaykh Fokhrul Islam is currently a teacher at Darul Ummah Madrassah. Shaykh Hasan Ali was born and brought up in the West Midlands. His Islamic education began with the memorisation of the Qur’an followed by learning the Arabic language together with many other sciences. In 1997, after nine years of studying the Islamic Sciences, he completed his Aalimiyyah (MA Islamic Studies eqv), graduating from the famous Madrassah Qasim Al-Uloom, in Sylhet Bangladesh (Dargah Madrassah) where he came first in the entire regional board among thousands of candidates. Shaykh Hasan also has an MA in Educational Psychology from the Institute of Education, University of London. Following his graduation, he served as the Imam of the London Islamic Cultural Society in North London for several years, where he set up the excellent Safar Academy, a weekend Islamic School which he still runs to this day. Between 2000 and 2003 he was the Imam, Head of Islamic Studies and Head of Arabic Studies at Yusuf Islam’s Brondesbury College for Boys in Kilburn, North London. In 2003, he was among the founding team of scholars, who set up Ebrahim College in East London where he is now a member of the board of Directors, and also teaches Philosophy of Religion, Usul al-Fiqh, Tafseer of the Qur’an and Islamic History. He is also well known in the community for being an inspirational speaker on a wide range of topics at masjids, universities, colleges and in the media both in the UK and abroad. Shaykh Muhammad Ibn Ismail (Abu Hasan) was born into a scholarly family in West Sussex. He grew up in London under the guidance of his father, Shaykh Ismail Bhuta a notable scholar of the UK and India and his elder brother Shaykh Abdul Mateen a well notable scholar of East London. He started learning Islam at a young age. After completing his secondary school education and basic Islamic studies he travelled to South Africa and enrolled at the distinguished Islamic seminary, Darul Uloom Azadville. He undertook a six year intensive study of various traditional Islamic sciences including Arabic language and literature, Aqeedah, Hadith, Tafseer and Fiqh. His most notable teachers are Shaykh Fadhl al-Rahmaan A’zami (the celebrated student of the world renowned Muhadith Shaykh Habib al-Rahman A’zami), Mufti Saeed Motara, Shaykh Hasan Docrat and Shaykh Mohammed Mohammedy. He graduated with distinction in the summer of 2004 having received authorisations in various books including the six major collections of Hadith. After returning to the UK he travelled to Syria and furthered his experience and knowledge by benefiting from the academic lectures of many scholars there, including Shaykh Nur al-Din Itr and Shaykh Na’eem al-Araqsusi. In 2006, at the age of 24 he was appointed as the Imam of al-Medinah Masjid, Brighton, UK and quickly established his ability as a young leader of the Muslim community, representing the Muslims on a local level at community forums, neighbourhood events, inter-faith meetings and charity functions. He also pioneered the first evening Madrassah in Brighton and initiated a weekly youth halaqah bringing about a noteworthy change in the Muslim community. Muhammad Ibn Ismail has lectured extensively at various masajid, Islamic centres and university isoc’s in London and the south coast of England, as well as masajid and Islamic seminaries in India and Canada. Presently, he resides with his wife and two children in East London, where he is the co-ordinator of an evening Islamic supplementary school and a regular friday khateeb at various Islamic centres and Masajid. Shaykh Muhammad Saleem Dhorat was born on the 7th of November 1962 in Bhoria; a small, rural village in India and from a very young age displayed the signs of piety, trustworthiness, zeal for knowledge and concern for humanity for which he is now well known. Shaykh Saleem Dhorat arrived in England in 1973 at the age of 11 with his mother and siblings to join his father, Hafidh Ibraheeem Dhorat. Shaykh’s father was serving as an Imam in Leicester. In 1980, Shaykh Saleem Dhorat enrolled to study Islamic Theology at Darul Uloom Al Arabiyyah Al Islamiyyah, which is based in Bury, Lancashire and at that time it was the only institute of its kind in the United Kingdom. After graduating with honours, Shaykh Saleem Dhorat remained at the Darul Uloom for a further five years as a lecturer: a testimony to his academic brilliance and capability. He taught books such as Usulus Shashi, Hidaayatun Nahw, Mirqaat, Hidaayah and the well known book of Hadith, Riyaadus Saliheen. In 1991 Shaykh Saleem Dhorat founded the Islamic Dawah Academy to help people, especially the young, understand the teachings of Islam. Initially starting from his home, the Academy has now grown to provide religious guidance, information and courses, advice services, dawah amongst non-Muslims, youth activities and publications. It regularly holds talk and tours for visiting luminaries from around the world and is recognised for it’s monthly English journal, Riyadul Jannah. Shaykh’s regular discourses throughout the UK and around the world attract huge audiences and many of Shaykh’s thought provoking lectures are recorded and available via a range of media. Shaykh Muhammad Shafi Chowdhury graduated from one of the oldest Islamic seminaries in the UK where he studied Islamic sciences with Isnad (unbroken chains of transmission to classical masters) in the fields of Qur’anic recitations and exegesis, Hadith studies and narration of the six canonical texts, Fiqh, Aqeedah, and Arabic Language. After graduating he embarked on a year-long tour of South Asia, the Middle East, and Western Europe, where he was engaged extensively in dawah work within a wide range of Muslim communities. He has been involved in extensive community work and teaching maintaining an open minded approach and building bridges between communities. He is an easy to approach scholar that works at grass-roots level. Currently Shaykh is a Muslim Chaplain in the Prison Service and consultant to NOMS (National Offender Management Service) on developing programmes for Islamic spiritual learning. Shaykh has participated in many national conferences, radio shows, university speaker tours. Shaykh Muhammed Yusuf Ahmed Az Zahaby initiated his Islamic studies at one of the oldest Islamic seminaries within the UK, Darul Uloom Birmingham. After his initial few years at Darul Uloom Birmingham, the Shaykh furthered his studies at Darul Uloom Bury. Shaykh Yusuf Ahmed studied under many illustrious scholars obtaining an array of Ijazahs with sanad. After graduating as an Alim, Shaykh Yusuf Ahmed decided to further expand his studies on contemporary issues under the tutelage of the renowned Hadith scholar Shaykh Abdullah Yusaf Al Judai. On completion of his studies, Shaykh Yusuf Ahmed held the post of Project co-ordinator for Learn Islam Direct – an action group working towards the elimination of religious discrimination. Following this he delivered a number of diverse workshops on Faith and Race Equality. Feeling the burden of responsibility from the vast knowledge he gained, the Shaykh felt obliged to pass on this depth of knowledge. He began by teaching at Madinatul Uloom Al Islamiya. Shaykh Yusuf Ahmed currently resides in West Bromwich and is serving as a Muslim Chaplain in the prison service, where he is exhausting efforts in the rehabilitation of offenders. The Shaykh is currently working on pioneering projects for the resettlement and reintegration of Muslim prisoners. The Shaykh has recently become a senior tutor for the Islamic College of England (ICE) in which many interesting and exciting courses are being planned. The Shaykh has been able to touch the hearts of many individuals with his approachable mentality, humour and depth of knowledge at such a young age. Since 2004 the Shaykh has been an Arabic language and Tajweed teacher at Ebrahim College. Whilst teaching both these subjects he has compiles an anthology of Arabic literature as a literature textbook, and written a commentary on al-Muqaddamah al-Jazariyyah in tajweed, both of which will soon be published. He is currently the head of Arabic Language at EC. The Shaykh also has Ijazah in al-Qira’aatal-Sab’ from the Institute of Islamic Education, Dewsbury and teaches this to advanced tajweed students at Ebrahim College. Shaykh Mumtaz Ul Haq is a Hafiz-ul-Qur’an, and Imam of a South London masjid. Shaykh is well known for his eloquent, passionate and informative lectures. His topics are very relevent to the prevalent times. His vast knowledge coupled with the elegent way of expressing, otherwise difficult topics into comprehensable gems, is the reason many have seen and changed the error of their ways. Shaykh is well known for his deep understanding on the Qadiyanism and Shi’ite fitna and there is a series on Qadiyanism up on YouTube. Shaykh uses the authentic Qadiyani books, the Roohani Khazain selection and more to split their fitna apart. Born from a pious family, Shaykh Najib completed the memorisation of the Qur’an at a very young age. He studied the traditional Islamic sciences and graduated in the year 2003. Since then Shaykh Najib founded the Quran Academy Bristol which caters for more than 250 students and is imam and khateeb in several mosques and institutions. A renowned student of Hadhrat Gohorpuri (ra), who has taught Bukhari for many years. Shaykh Rafiq Sufi (Patel) was born in England and has gained licenses to teach (Ijazahs) in many Islamic sciences including Qur’an, jurisprudence and traditions of the last Prophet Muhammad (saw), from various scholars. He studied and graduated in 1992 in one of the most recognised Islamic Institution in England, Darul Uloom Al Arabiyyah Al Islamiyyah. As well as becoming an Alim (Scholar), he also memorised the Qur’an in different methods of recitation (Qari). After graduation, Shaykh took a role of Imam in various Masajid within the North of England and also for a year in Leicester. His dedication to sacred knowledge of Islam has allowed many to gain a true understanding of Islam, be it through his teaching in many different organisations, his translation of classical Arabic text, or just his dynamic style of orientation. Although he is currently a teacher of Fiqh, Hadith and Arabic language, in his home town of Blackburn, his other devotion is his charity which brings ‘Humanitarian Aid’ to thousands of needy men, women and children from around the world. Shaykh is also devoted to reaching out to the youth and bringing them the true message of Islam where ever they may be. He has delivered Islamic lectures in universities and mosques all over the United Kingdom, USA, India, Indonesia, Sri Lanka, to mention but a few. He currently resides in Blackburn, UK with his wife and two children. Shaykh Saleem Nawab is a senior lecturer/teacher at Darul Uloom London as well as the Shaykh Ul Hadith of Madani Girl’s School. He is one the pearls from the Ulema (scholars) of London. Shams Ad-Duha Muhammad was brought up in the in East London. He is hafiz of the Qur’an which he memorised partly in his own locality and then completed at the famous Darul Uloom in Dewsbury (Institute of Islamic Education). After memorising the Holy Qur’an, he continued at the same institute and studied Arabic language, Tajweed, Fiqh and other subjects in the early years of the Dars Nizami curriculum . He then moved to Al-Jamia al-Islamia in Nottingham to continue his studies and benefit from shuyukh like Shaykh Fazlur Raheem, Shaykh Abdul Haq and others, from whom he studied, advanced Fiqh, Usul al-Fiqh, Ulumul Hadith, Hadith and Tafseer. To complete his studies he travelled to Bangladesh in 1997 to study Hadith texts and receive Ijazah under the late Shaykh Abdul Aziz Doymiri and the late Shaykh Nuruddin Goharpuri (Allah have mercy them both) and other shuyukh, where he also came first in his graduation class. Since graduation, the Shaykh has been a teacher and Senior Advisor of the London Islamic Cultural Centre Maktab (now known as Safar Academy) in North London. The Shaykh has also served as Imam and Khateeb of Burdett Estate masjid where he revolutionised the education system and held popular Tafseer classes. In September 2000, the Shaykh helped found the Mazahirul Uloom Secondary school where he was appointed as the Vice-Principal. In December 2002, along with other respected Ulema, Shaykh Shams founded Ebrahim College and is currently serving as the Director of Education and lecturing on various Islamic sciences. He is a well known speaker in community gatherings, universities, colleges and masjids where he has spoken on a wide range of interesting topics. The Shaykh is also currently authoring 2 books on Arabic Grammar, 2 books on Islamic creed and theology, which will soon be published insha Allah. He has also edited the translation of Ibn Rajab Hanbali’s Jami’ al-Uloom wa al-Hikam, published by Turath Publishing, and is currently working on the translations of Sharh Ma’ani al-Athar of Imam Abu Ja’far al-Tahawi, and the Qawaid fi Uloom al-Hadith and the Qawaid fi Usul al-Fiqh, of Shaykh Zafar Ahmad Uthmani. Shaykh Sufyaan Iqbal completed the memorisation of the Holy Qur’an at the age of 14 in Zomba, Malawi. He then went on to Study the ‘Aalimiyyah course which consists of Arabic language, Etymology, Morphology, Grammar and literature and Fiqh (Islamic jurisprudence) of most of the schools of thought, Tafseer (commentary of the Holy Qur’an), ‘Aqaa’id (Islamic beliefs), Hadith (traditions of the Holy Prophet Sallallahu ‘alayhi wa sallam), English, Astronomy, Teaching Methodology and ‘Ilmul-tajweed wal-Qiraa’aat at Darul Uloom Zakariyya, Johannesburg, South Africa from the year 1997 onwards. Graduated from the same institute in the the year 2002. He specialised in the field of Al-Qiraa’ah wat-tajweed (the different ways of recital of the Holy Qur’an including Qur’anic texts, punctuations and pronunciations) in the year 2003 also at Darul Uloom Zakariyya with Ijazah in all the 10 authentic Qiraa’aat. Afterward he was appointed as Vice Principal of Anjuman Taleemul Islam, Zomba, Malawi. A Darul Uloom which provides Islamic and secular studies for the underprivileged. Shaykh Sufyaan taught at K.I. Leicester as a teacher for Qur’an, Arabic and cultural studies and was the founder of one the first Islamic institute dedicated to the blind and visually impaired Muslims of the United Kingdom. He is also the presenter on various community radio stations including Radio Ramadhan Bristol and Radio Hajj, Leicester. Currently the Shaykh is an Imam at Masjid Umar, Cardiff, Director of Qur’anic Studies/Project Manager at Bristol Islamic Foundation, and is a trustee of Cedara Blind Foundation International as well as an advisor to Al-Isharah Foundation an institute specifically for deaf Muslims. Shaykh Sulaiman Ghani was born and raised in a scholarly family from South Africa. Shaykh Sulaiman Ghani had embarked on a journey to seek knowledge. His thirst for knowledge took him to Al Azhar University, Cairo, Islamic University of Madinah, various institutes in Karachi and South Africa. He also studied in SOAS University. Shaykh appears on Islam Channel and is the Imam at Tooting Islamic Centre. Shaykh Sulaiman Moola began studying the sacred sciences at an early age. After having completed the memorisation of the Qur’an at the age of 14 in 1989, for the next seven years he went on to study the Islamic sciences which include Arabic (and all its related sciences becoming especially fluent in Arabic poetry), Tafseer, Hadith, Aqeedah and Fiqh (specializing in the Hanafi School). Having studied under senior Ulema from South Africa and the Indian Subcontinent and receiving Ijazah from them, he went on to teach at various Madaris in South Africa including Darul Uloom Zakariyya. Shaykh Sulaiman Moola currently lives in South Africa and has travelled extensively throughout the Muslim world and the West for the purpose of dawah and teaching. Some of the countries he has visited include various Central African nations, the Middle East, United Kingdom, Singapore, Malaysia, Indonesia, India, Pakistan, Australia, Canada, West Indies and the U.S. His travels and lectures have been a means of great inspiration to many across the globe. A world renowned Mufassir-e-Qur’an and expert of Hadith in Bangladesh who has taught Sahih Al Bukhari for over 40 years. Shaykh is also a renowned student of the famous Shaykh Abdullah Darkhasti of Pakistan, known as Hafidh Ul Hadith. Shaykh Yasar Zaman started his education at an early age. The Shaykh graduated from Darul Uloom London and now serves as an imam for a prayer room within a hospital. Shaykh Zahir Mahmood was born in England and has gained licences to teach (Ijazahs) in many Islamic Sciences including Qur’an, Jurisprudence (Fiqh) and Traditions (Hadith) of The Prophet (Peace be upon him) from various Shuyukh. Following the completion of his formal state education at the age of 16, he enrolled at Darul Uloom Al Arabiyyah Al Islamiyyah, Bury, where he initiated his studies of the Alimiya course. Thereafter, he studied 3 years in the prestigious seat of learning al-Jamia al-Islamiyya, Karachi, Pakistan. He went on to complete his Alimiya course at the pioneering Darul Uloom Newcastle, South Africa, which has since been used as a template for other seats of learning in the region. Here, the Shaykh’s studies included a detailed analysis of Sahih Al Bukhari with the renowned Scholar Shaykh Qasim Seema. Returning back to the UK, he gained a BA in Applied Theological Studies from the University of Birmingham and taught the Alimiya course at Madina al-Uloom Kidderminster for a subsequent 2 years. He also translated part of the classical Hanafi text of Fiqh, al-Shurunbulali’s Nur al-Idah in English. Dr. Uthman Lateef was the Director of the Hittin Institute in Syria and Egypt and is a popular speaker and khateeb at universities and masajids across the UK. He has a BA (First Class Hons) in History, an MA (Distinction) in Crusading Studies with a dissertation on religious poetry in the twelfth and thirteenth centuries, and has recently completed his PhD in the Muslim literary effort to inspire a yearning for Jerusalem in the twelfth century. Dr. Uthman has been involved in many Islamic organisations, international charitable projects where he has been particularly active in raising awareness about the plight of Muslims in poverty-stricken Africa. Dr. Uthman has also been appointed as a board member of the family program and will teach as well as to advise and help to structure of the family program. Dubbed the “voice of a generation,” Boonaa Mohammed is a critically acclaimed award winning writer and performer with accolades including a playwright residency at Theatre Passe Muraille, a short story published in a Penguin Canada anthology called “Piece by Piece” and various slam poetry titles credits including winner of the 2007 CBC Poetry Face-Off “Best New Artist” award. As an Artist he has toured and travelled across the world and frequently conducts writing workshops and seminars, sharing his experience and expertise in social justice based story telling with mainly youth from all walks of life.